Centennial Hills Hospital Medical Center in Las Vegas offers both inpatient and outpatient surgery, using minimally invasive, robotic and open procedures. The hospital has eight technologically advanced operating rooms, a pre-operative area, endoscopy center and a 20-bed recovery area. In-house anesthesia services, which include 24-hour acute pain management, are available. 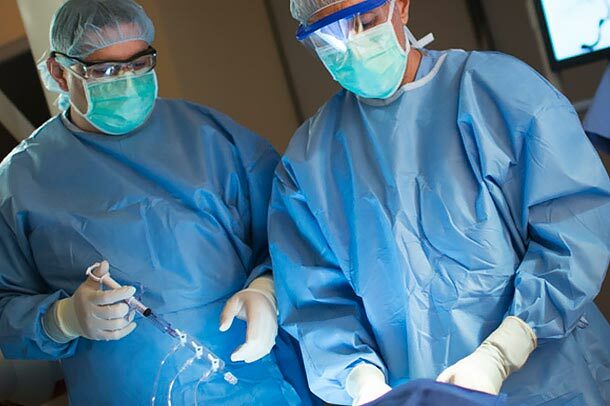 In addition to standard open surgery, surgeons at Centennial Hills Hospital Medical Center have special expertise in laparoscopic or minimally invasive surgery and robotic surgery, which is also a minimally invasive technique. If you need a referral to a surgeon at Centennial Hills Hospital Medical Center, contact our free physician referral service at 702-388-4888.